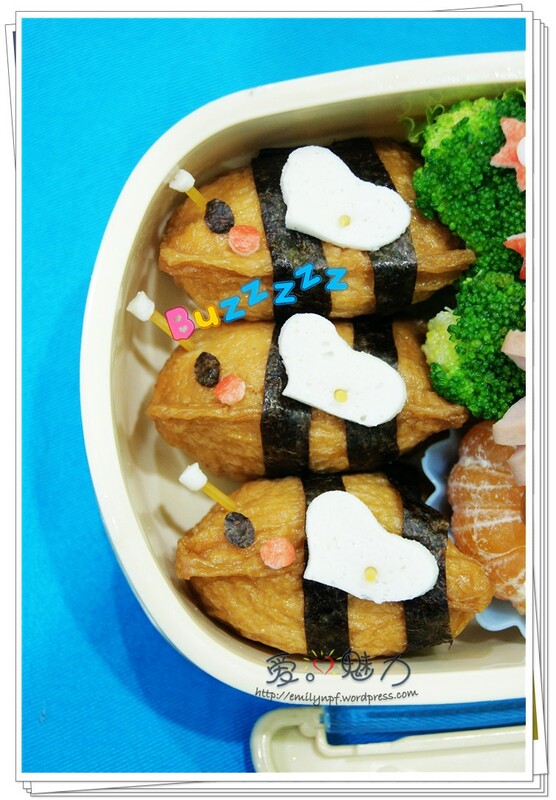 I made inari sushi again…hehe…my son love to eat this sweet bean curds a lot, so I made him these inari sushi again and this time made them as bees…buzzzzz…buzzzz…bees is coming.. so, remember to “bee” happy all the while. 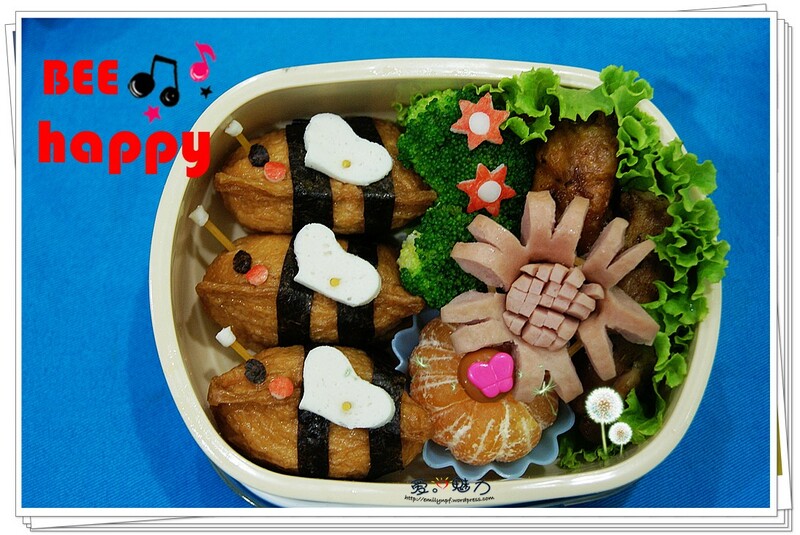 Other than the three bees, there are two roasted chicken pieces, broccoli florets, a sausage flower and a Nanfeng Tangerine. The small star shape flower on the top of the broccoli were made from crab meat too. You are currently browsing the 爱。魅力 blog archives for the day Tuesday, November 9th, 2010.